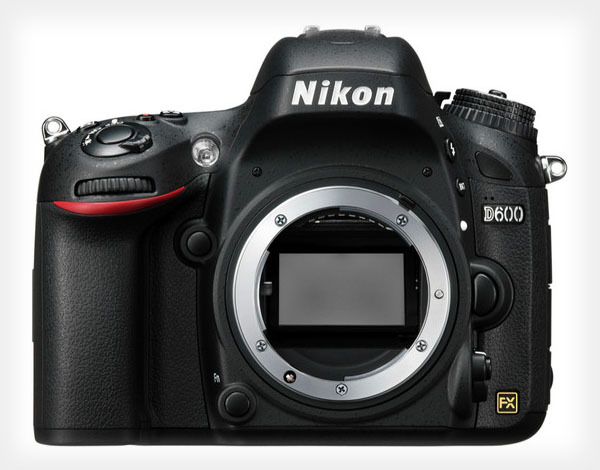 Yesterday, Nikon announced the D600, the world's smallest, lightest, and most affordable full frame dSLR. Unfortunately, the camera also signals the fact that Nikon has lost hold of its title as the leading photographer-orientated company to Canon as the D600 is really nothing more than a glorified D7000, which is clearly an amateur camera. Long story short as to why the D600 is a disappointment: the control layout. By looking at the D600, one sees that ity is merely a D7000 with a larger sensor packed into a slightly larger body, clearly not the direct successor to the D700 many people were hoping for. As to why the D600 is is an amateur camera, just look at all of the dual function buttons on it vs. the layout on the D300s and up models, which all feature single function buttons, which are a lot more user-friendly. For a visual comparison, go to my D300s vs. D7000 comparison, which could very well be D800 vs. D600 today as the user interfaces are virtually the same. As for why the D600 signifies that Nikon has lost its way or, at the very least, grown complacent, it is virtually the same story a was the case with Canon 5-6 years ago. Once upon a time at the start of the digital a decade ago, Canon had the best sensors in the dSLR market, bar none. Result: Canon could sell cameras on image quality alone. At the time, Nikon had superior feature sets and ergonomics but it didn't matter because, at anything over ISO 400 (this was 10 years ago), the pictures were a noisy mess. Canon? Smooth as silk. By 2005 and in order to try and close the gap, Nikon was cranking out what was essentially a pro-grade APS-C camera, the D200, and selling it for $1800 despite the fact that it was 95% of the $5000 D2 models. Canon? Still the undisputed leader in image quality, it was resting on its laurels, making only minor updates to its dSLR line while touting “a proven formula,” creating a FF Digital Rebel (the 5D), and keeping all the best technology and features in the top-tier 1D line so as to avoid cannibalizing sales of its flagship models. Then came 2007 and the 1-2 punch of the D3 and D300. Overnight, Nikon bested Canon on the image quality front. That, combined with Nikon's generosity in letting pro-grade features trickle down to sub $2000 models made Canon's anything but 1D offerings suddenly look like junk. Since then, Canon has had to play catch-up and has only now, as of 2012 and the 1Dx and 5D Mark III (which is the baby 1D many had been hoping for back in 2008), finally been able to be the equal of Nikon again. Problem for Nikon was that they were asleep at the wheel. Instead of continuing the generous feature trickle-down that had kept so many Nikonians loyal through the dark days of before the D3 and D300s, Nikon has apparently stopped this wise strategy with the D600. Before, Nikon's $1800 model has always taken design cues from the top of the line D# line. Now, instead, the D600 essentially becomes a FF D7000, a clear devolution in capability that now forces anyone wanting a serious current Nikon to pay at least $3000 for a D800. Long story short: Canon and Nikon have flipped design strategies in that Canon is now being generous with letting high-end features trickle down to lower-priced models while Nikon is apparently looking to protect its top-tier lines by crippling an otherwise great D600 with lousy, amateur controls. Now that each company has shown its hand in the FF war, it will be interesting to see what they do in regards to high-end FF (think D300 s and 7D replacements). My bet: the edge is now with Canon for this generation of cameras.